There’s no denying that water is among your most critical assets. But going off grid, you won’t find it automatically ready and on tap unless you’ve set up one kind of system or another. In the most obvious of ways, you cannot survive without water – but did you think ahead about where to get it, and how to store and transport it? 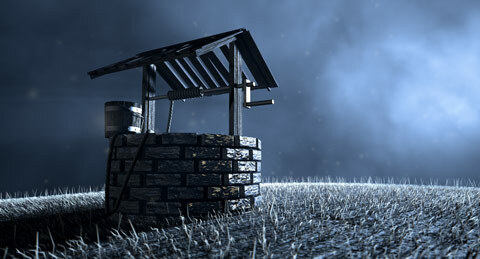 Especially if you are just starting out with your off grid home or survival shelter, securing potable water for your most basic needs may be very difficult. Water is quite heavy, and hence, any large containers will be very difficult to carry or transport if you don’t think ahead. Needless to say, we weren’t eager to drop thousands of dollars on a well at this point in the game. We did, however, come up with a solution that works for us with minimal efforts. We know lots of you have your own ideas on alternative solutions such as IBC tanks, cisterns, water barrels, etc. We thought through many of these things and in the blog post, covered why we didn’t use each one. During their first year, hauling water back to their site from a water station where they filled up at 25 cents a gallon seemed to be the best, and most affordable solution. With about 100 gallons a week to be comfortable (for two people), they cut back on extra showers and running water, and figured out how to get by. They hauled it in these very workable 6 gallon containers – the most they could comfortably carrying without feeling unnecessary strain. Back at their RV, they set them up on a shelf one at a time, and used gravity to feed the water through a few simple tubes into their plumbing supply – and stored the others close enough to the wood stove to keep them from icing when the weather was freezing. It isn’t glamorous or sophisticated, but this couple sees the value in simplicity. Down the road, they will likely think about drilling a well or establishing other long-term water solutions. Many off grid homes have successfully utilized rainwater collection for all of their water needs. It just depends upon your resources and innovation to harvest and filter it for use.